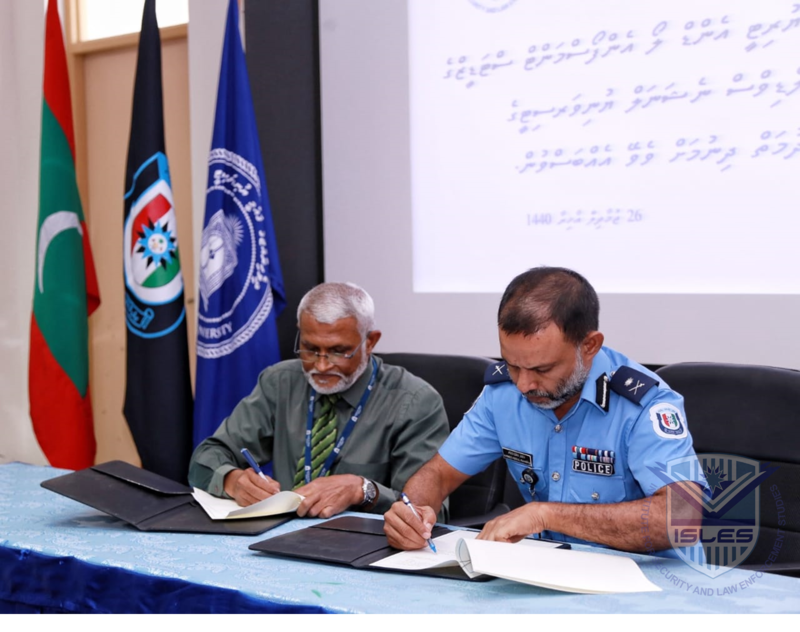 Institute for Security and Law Enforcement Studies (ISLES) signed an agreement with Maldives National University Library to facilitate the staff and students of ISLES to obtain library services from MNU Libraries. 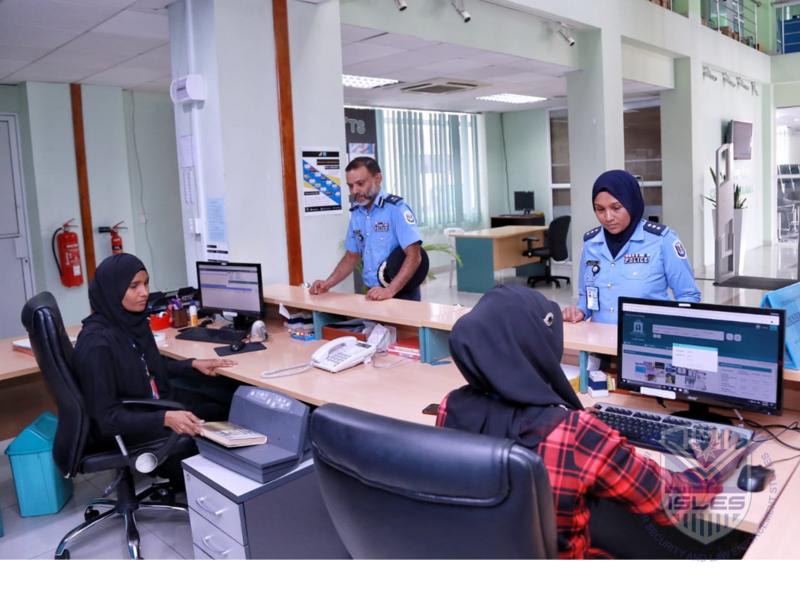 This prestigious library service would exalt the quality of teaching and learning at ISLES to a greater height and inculcate exceptional qualities in the graduates from our institution. 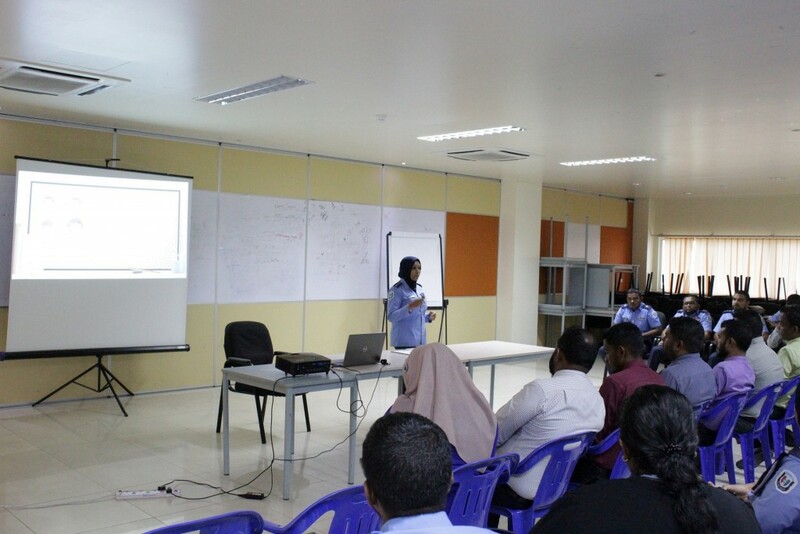 The function was attended by senior staff from ISLES and MNU. 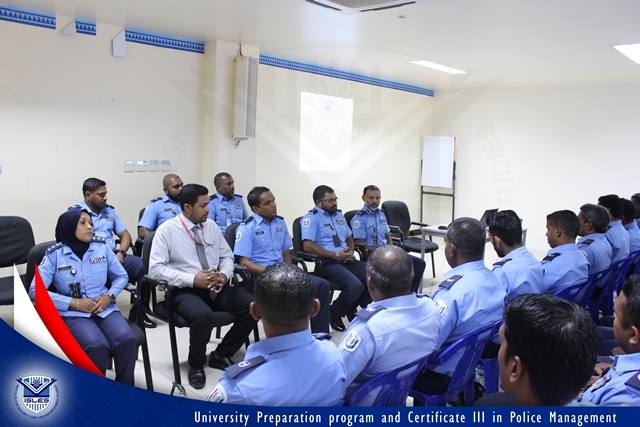 An information session has been conducted for the staffs of Maldives Police Service, regarding the new University Preparation Program which will commence in January of 2019. The session was held to provide information about the UPP, to ensure thorough knowledge about the program is possessed by prospective students. understanding in the field. 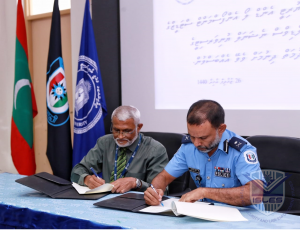 This program also allows upgrading the qualification of the existing crime prevention officers and would enable them to conduct community based programs on issues identified within their community. Further, all the modules are in line with international best practices to equip officers with best possible resolutions. The goal of this program is to provide Security knowledge and skills of and upgrading the qualification of existing security officers/supervisors/managers in the Maldives reflecting on international best practices. 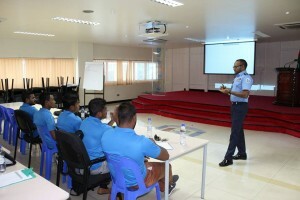 In addition this course intends to produce qualified personnel into the Maldivian security industry and prepare them to serve the various needs of the sector.